A few months back on completion of my 100th blog post, I asked my husband to check out my blog because he doesn’t follow NBAM that often! To be honest, his opinion matters to me as it was his support and guidance, I could start this blog two years back 😊. But after going through all the posts and the website design, all he noticed was- my shopping haul blog posts!! He literally started counting how much I spent on those products and asked me – honey, do you ever finish these products or you just keep buying things?? I got angry but then realized that it’s not his fault. Once a product gets emptied, I throw it right away without storing the container or taking its picture hence no proof! Since then, I have been collecting all the used empty product containers as evidence as well as to start this series called ‘Product Empties’ on my blog inspired by my fellow lovely bloggers. Honestly, the products that I am going to show you here in this article, not all of them got emptied this month. Some expired last month, a few got finished in July and some this month and so I didn’t use any specific Month in the title! Technically, it also can be named as Hong Kong product empties post since I started using most of them in Hong Kong only 😉😃. This is an alcohol-free skin toner with Tea Tree oil that claims to control sebum and clears blemishes. However, the claims are not 100% true. It worked wonderfully to tame the acne but didn’t help clear the blemishes. But I quite liked this product; best suited for oily skin types. I bought this fresh bottle in January before leaving India and it got finished in September, long time! Read the full review here. This is the best product I have tried so far! I loved this multipurpose product for its natural healing power. 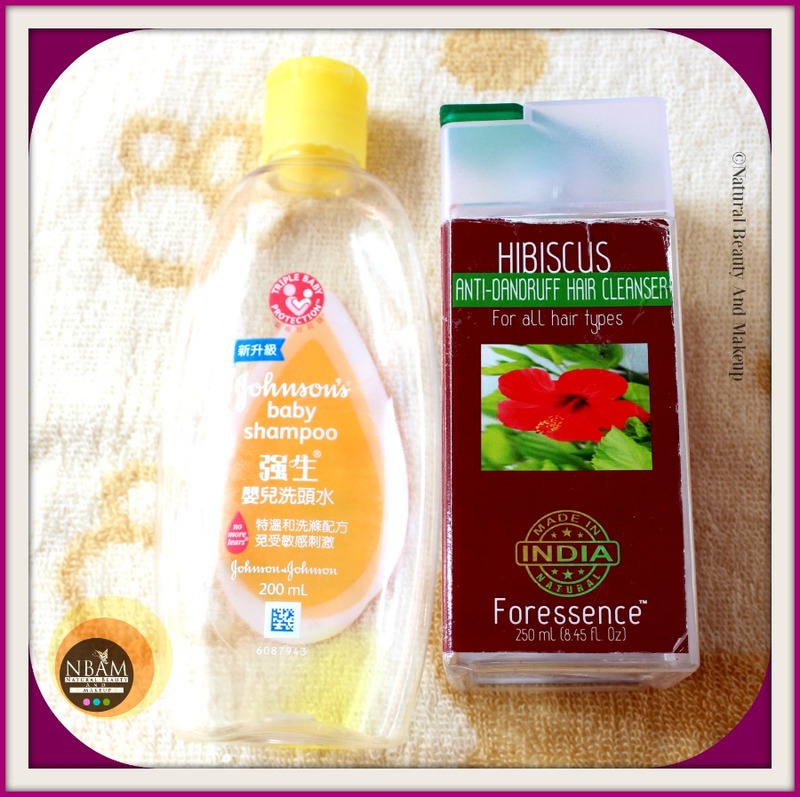 Suitable for all skin types, best for sensitive skin. Though it’s pricey but worth every penny! Read the full review here. I haven’t reviewed this product yet on my blog but just wanted to tell you that, I will not repurchase it ever! This lotion was prescribed to me by a dermatologist when my skin suddenly became super dry and flaky (Post my dengue infection). It is highly moisturizing, best for dry skin but has chemicals, so a strict No! This night cream does hydrate your skin and improves skin texture but contains parabens, alcohol and other harmful chemicals. It’s best for dry skin and good for rest skin types. Read the full review here. This is a clay face pack with Jeju volcanic clusters that effectively absorbs excessive sebum, detoxifies the skin and keeps pores clean. 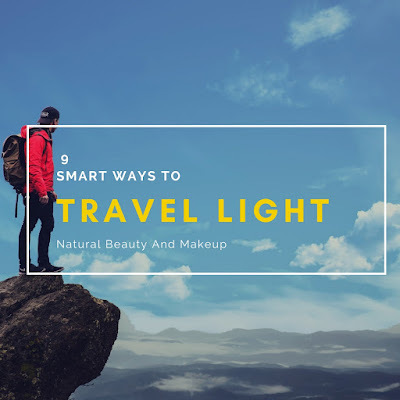 It is not fully natural but helps add a visible glow to the skin. 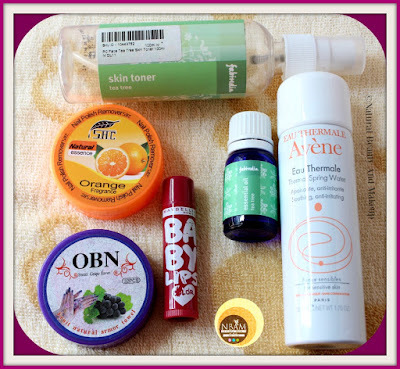 Great for oily skin types. Read the full review here. Tea Tree essential oil is a staple in my skincare stash. This oil works great for preventing dandruff and acne breakouts. It’s natural and is affordable too. Read the full review here. OBN nail polish remover wipes are acetone-free and remove nail polish efficiently. It is budget-friendly and is very easy to use. Read its full review here! It is a super affordable product that you can find at any local stores in India. The wipes do not dry out the nails and are non-greasy. I quite liked this remover; you can read the full review here. I bought this lip balm in the shade Tropical Punch with SPF 20. The shade is reddish pink but not highly pigmented. It kept my lips moist and supple for around 2-3 hours and needs reapplication. The claim of 12hrs stay is not true at all but I liked this balm for its amazing spicy fruity fragrance. The days when I am not in a lipstick mood, it’s the perfect alternative, so yes, shall repurchase it! This lip balm is all natural and has an amazing fragrance. 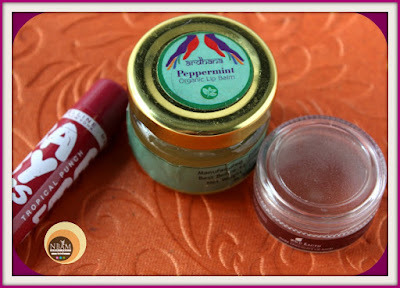 It moisturizes the lips really well and is budget-friendly also. 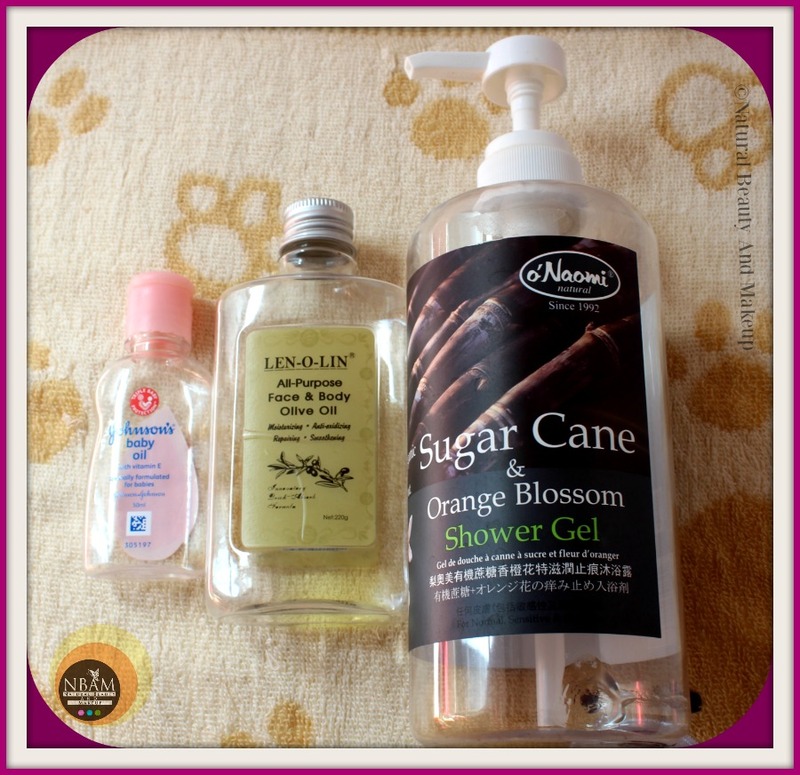 I loved this product to bits and would love to repurchase it! Read the full review here. This is an organic and handmade lip balm blended with peppermint oil, shea butter. It has a transparent shade that keeps your lips hydrated for 2-3 hours. However, it couldn’t impress me! Read this FULL REVIEW to know the reason! I bought this cold cream and got Gulabari rose water as a freebie which I use in all my homemade face masks. This is a cold cream with natural rose extracts and claims to provide a glow to the skin. I have never tried this cream on my face as I used it on my feet only. Yes, I had no special foot cream so used it to moisturize my feet and it worked well in this case! I love the rosy fragrance of it, if you have dry skin you can give this one a try. Nivea says - the original moisturizer Nivea crème with skin-caring Eucerit makes your skin pure, soft and smooth. I bought this product last year in December when I was at my in-law's place. I had to buy a crème for that colder season thus bought this one. To my dismay, this crème didn’t act well on my skin. It felt quite heavy and sticky on my face resulting in breakouts! Henceforth I stopped using it and used it as a foot cream. As foot crème, it did keep my skin soft and hydrated. 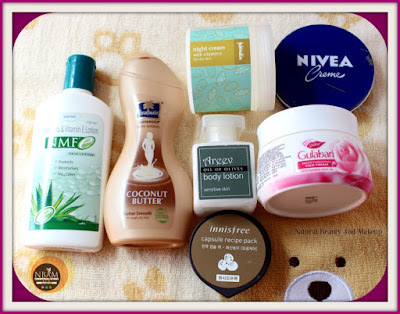 I think this is best suited for dry skin types and NOT for oily to combination skin types. I had used this cream multiple times and it works wonders for my dry body skin. Like Nivea crème, I bought this lotion too before leaving India and this 100ml product lasted me for a good period of time! The lotion is off-white in colour with a thick consistency and has a nice but strong fragrance. 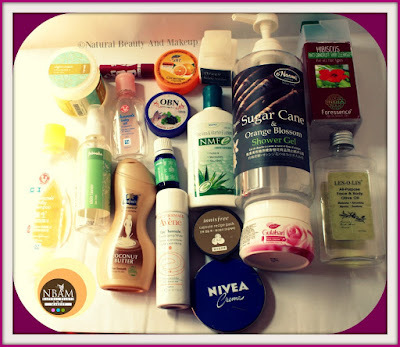 The only con I found that it contains harsh chemicals like paraben, phenoxyethanol etc. I probably won’t repurchase it, shall look for some other affordable alternatives. Best for dry skin and winter season. This body lotion is specially formulated for sensitive skin and is true to all its claims. It’s lightweight and hydrates the skin well but is not ideal for dry skin types. Read the full review here peeps. This shower gel is gentle on the skin and has a pleasant aroma. It doesn’t dry out the skin, cleanses skin nicely and keeps it hydrated. A vegan and a paraben-free formula, so check out the full review here. Not ideal for oily skin types. It is my current body oil as I couldn’t find any other option at the supermarket 😐. I will not repurchase it because it contains mineral oil as one of the key ingredients; the full list is not given on the packaging. However, it is very light in texture and moisturizes my dry skin amazingly. Suitable for all skin types. Another product that I don’t use on my body but sometimes on my face to remove stubborn makeup. At times I use waxing strips to wax my upper lip hair and to calm and clean that area I need to use this baby oil. It’s a part of my emergency kit that I use rarely 😃It contains mineral oil and fragrance too that we should avoid at any cost! This anti-dandruff shampoo is all natural and free of parabens, SLS etc. It helps reduce dandruff to an extent and is best suited for oily to normal hair types. Read the full review here. There was a time when this shampoo used to provide me with a shiny, silky hair (college days) but unfortunately, the magic has gone now! My hubby uses this baby shampoo daily for his baby hair and I use it to wash all my makeup brushes. So, yes, this is a part of my vanity too! So this was my Product Empties, Part 1 post, hope you enjoyed reading it. I shall come up with the second part once I finish all my current beauty products. Have You Ever Tried Any Of These Products? If Yes, Please Share Your Experience With Me In The Comment Section Below. You have emptied so many products Ana, seriously this is a goals post for me. Also tell jiju how many products you have used and tell him it's time for a new haul. Also I want to try FabIndia cream. This is an interesting segment of your blog, haven't read something like this. I used Johnson's baby products too back in primary and high school and it served me well. I also love Avene spray mist! Great post dear! Its basically about experiencing and experimenting. I do that most of the time. Some does works, others still works for my body. When they are rejected on my face. 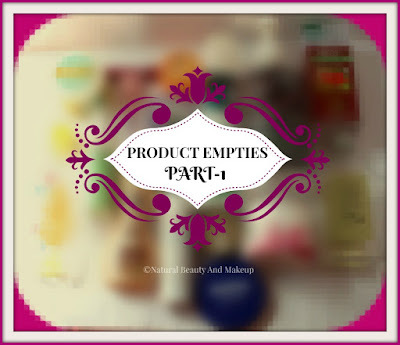 Whoa you've emptied so many products! Does the Fab India toner gives burning sensation? What a hell of a post. So much info and so many mini reviews.